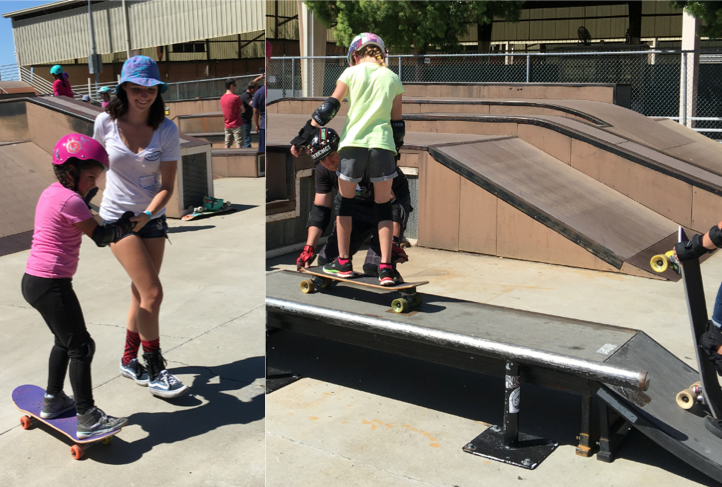 More girls skateboard when they see girls skating & get encouragement – please share your pictures/stories/encouragement! Charity sharing skateboarding – she’s super stylish on & off the board. Girl Scout Badge for Skateboarding??? 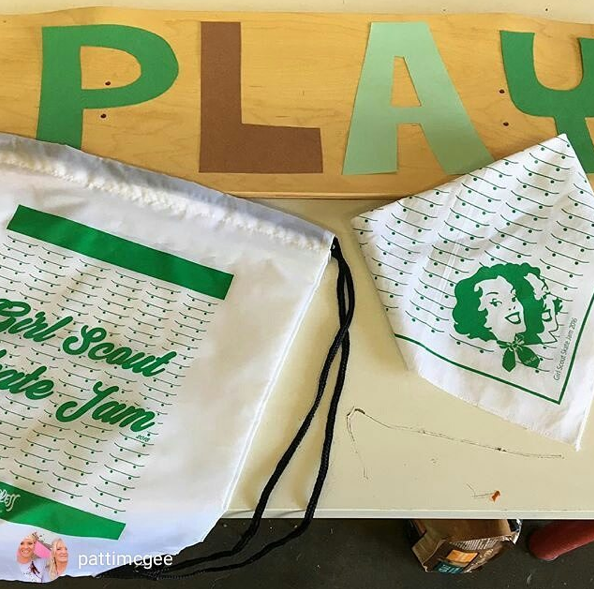 On April 16, 2016 Silly Girl Skateboards brand ambassador, Hall-of-Famer & legend @pattimcgee, was one of the speakers and ‘instructors’ helping Girl Scouts learn to skate and perhaps earn a skateboarding merit badge – never before offered to Girl Scouts. I was lucky enough to check out the event at Kit Carson Park in Escondido California. Here’s some pictures and thoughts on the day. 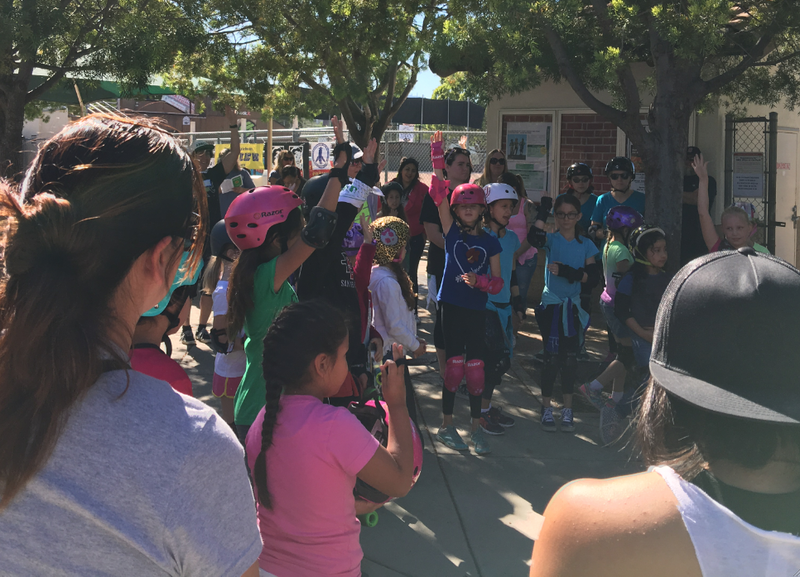 The Girl Scouts assembled at 9am on Saturday morning & when asked if ready – look at those hands in the air – they were ready to skateboard. The Girl Scouts had the park plus they had pro skateboarders – including Vista local Amelia Brodka, founder of EXPOSURE Skate, to help them understand how skateboarding helps girls grow – it’s in line with the Girl Scout Mission Girl Scouting builds girls of courage, confidence, and character, who make the world a better place. the Girl Scouts & volunteers headed to the skate park. It was time to skate! 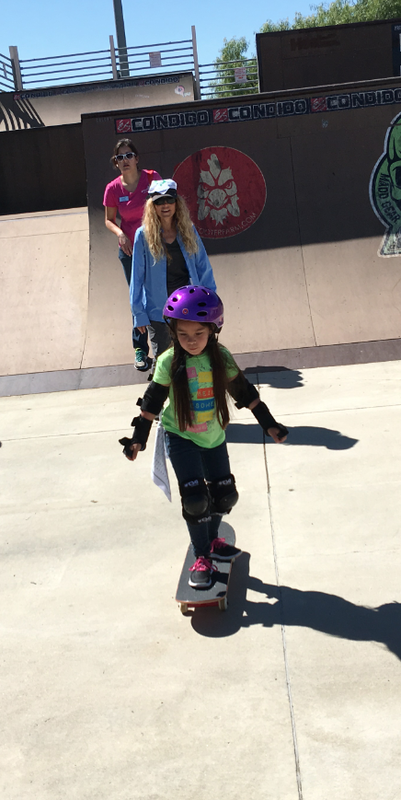 Girl Scouts like skateboarders are all ages – so from Daisies to Adult Members the scouts were represented. Instructions were given in groups but there was still plenty of time for individual attention. 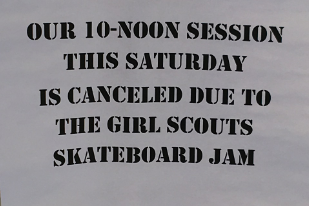 And Girl Scouts like skateboarders know it’s polite to wait your turn – no snaking. There is enough for everyone & skateboarding teaches patience. 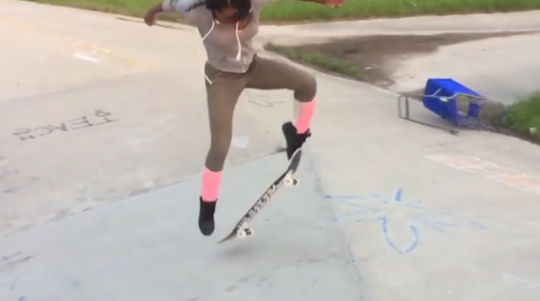 girls knowing they could skate on their own. 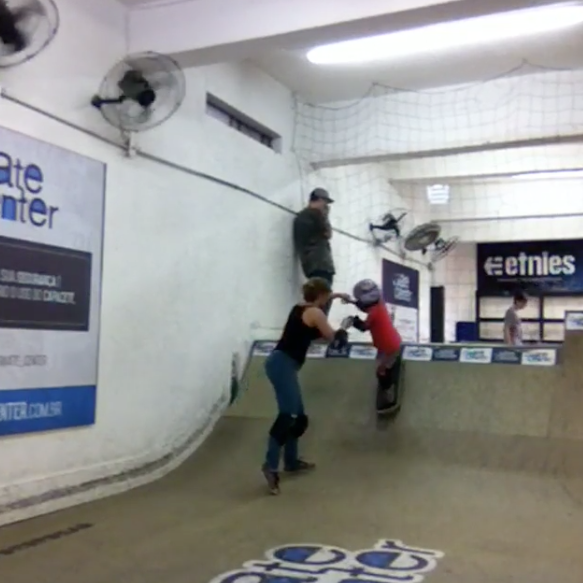 Is there handholding in skateboarding – I say yes. And when you’re ready there’s going solo in skateboarding. Skateboarding is not about competing, winning medals, or being sponsored. Those are all rad things that may happen because you skateboard. 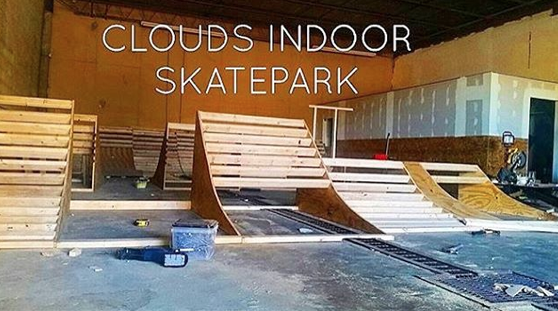 Skateboarding is about getting on that board and skating – whether you go across your driveway or down the mega ramp you’re a skateboarder. One of the Girl Scouts I met didn’t get on a board yesterday – she wasn’t ready. 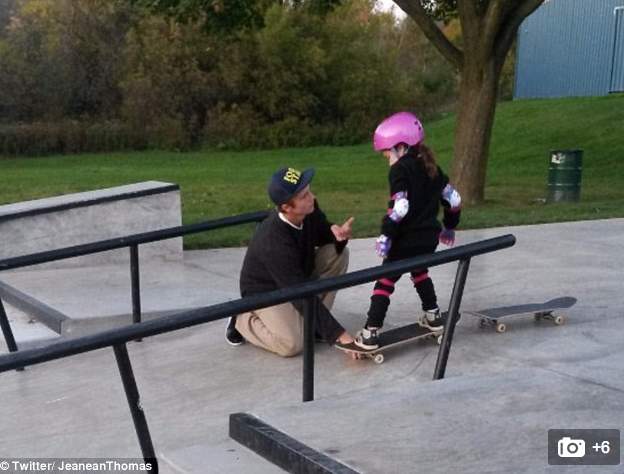 Yes – I gave her stickers – it takes courage to be your own person – do what’s right for you – don’t skate because everybody else is skateboarding – skate when you want to, how you want to, and for yourself. Till next time XOXO – skatingfashionista & yes invite me to your skate events (thanks Silly, Amelia & Girl Scouts) – I love to attend & then blog – if I can’t make it send me your pictures & stories – because more girls skate when they see girls skate and we encourage each other! Skateboarding is sport and art plus fun exercise. Marcelachicolli shares this video. 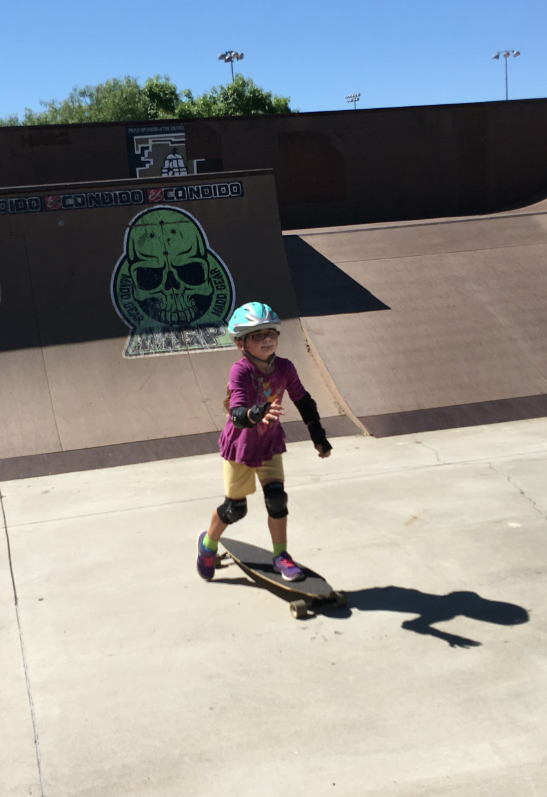 It’s just one of her rad pictures that show #girlscanskate – skateboarding is one of the most fun exercises out there. Don’t believe it’s exercise – than you haven’t skated – it’s an incredible core workout plus aerobics. Think of it as rolling yoga on caffeine! 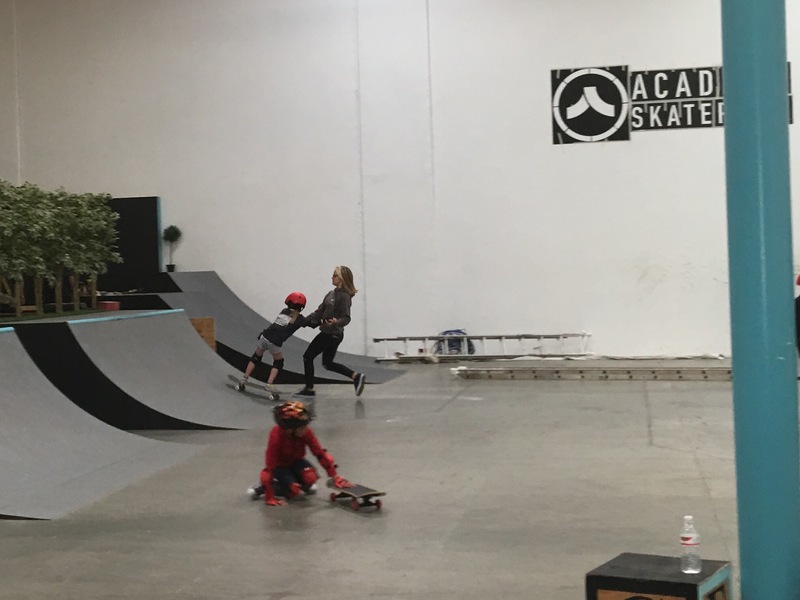 Do You Remember the Mother Who Wrote the Thank You Letter to a Skater Boy? 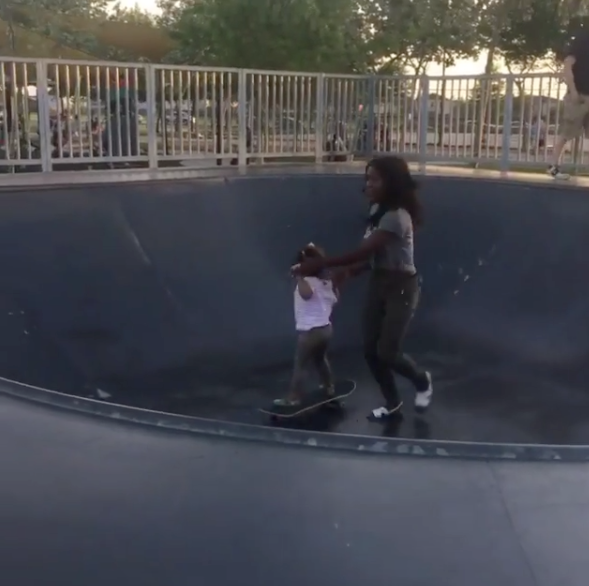 A mother has written a heartwarming Facebook message to thank a teenage boy for helping her daughter learn how to skateboard – despite getting teased by his friends. 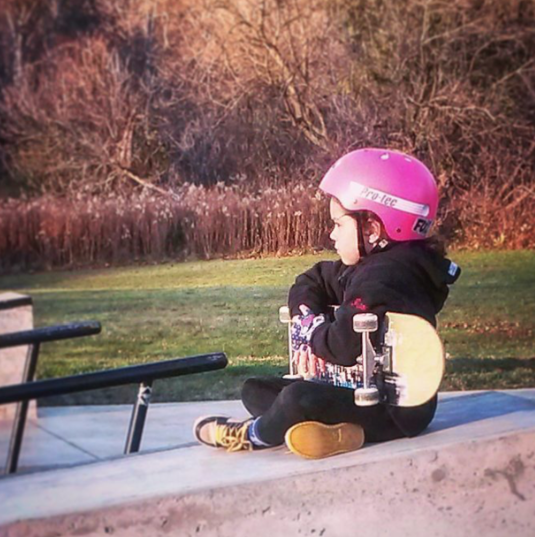 Jeanean Thomas, from Cambridge, Ontario, told how her six-year-old daughter Peyton had been wanting to skate for months but was terrified because she thought it was ‘ only for boys’. 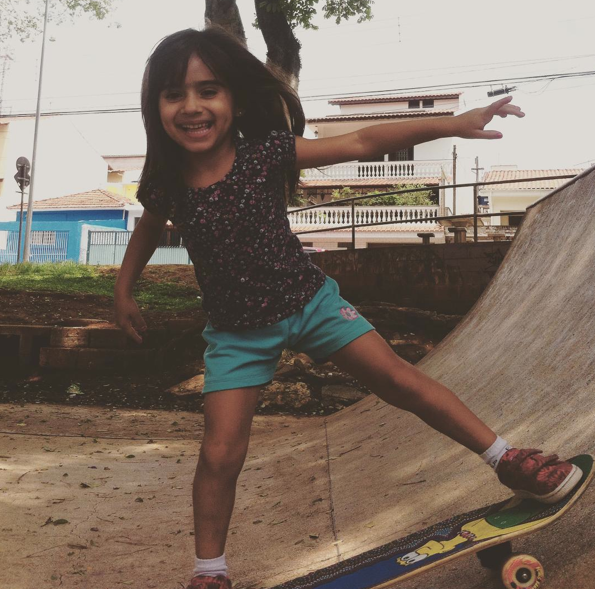 If you don’t remember or haven’t read it please follow the link – it’s a wonderful story that shows that skateboarding isn’t for boys or girls and that “real” skaters want to share skateboarding. Why am I blogging about this in February – go Canada Peyton is a Canadian skater girl. Below a shot from Jeaneanthomas IG. Thanks Jeanean for encouraging your daughter and teaching her that it’s ok to ask for help and let others help you – we all grow when we help each other!